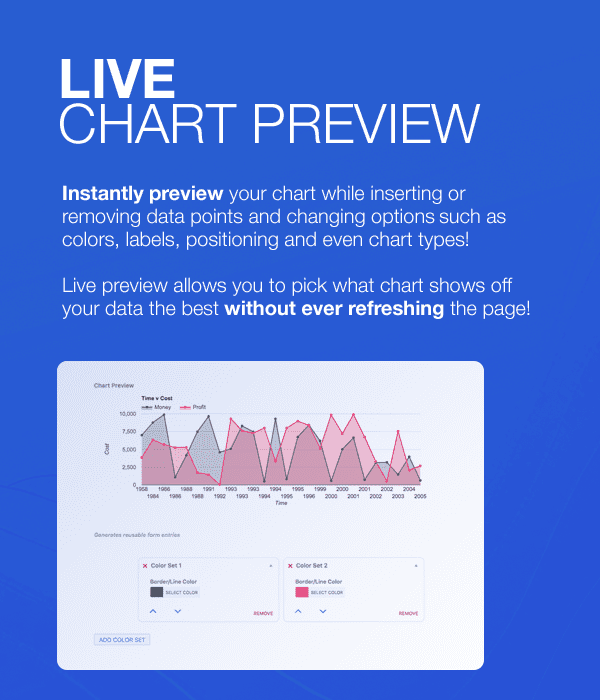 Preview each chart type LIVE. 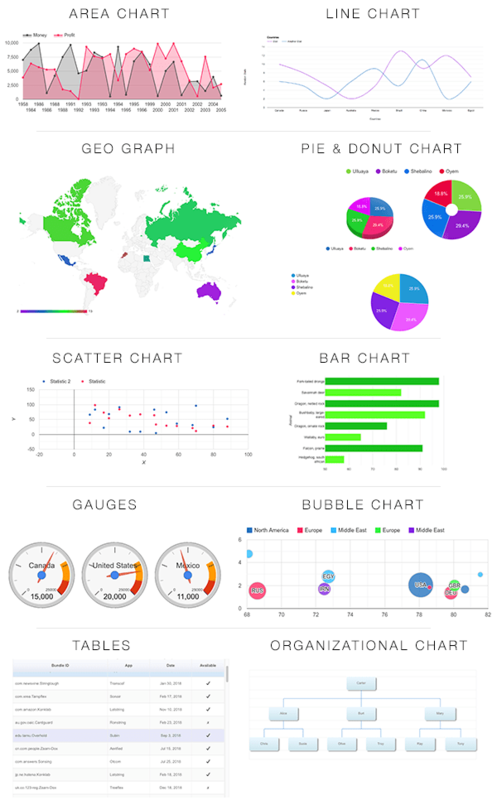 See what kind of chart displays your data the best. Select the chart type from the dropdown, and it’ll automatically redraw the chart with your chosen chart type. Fully responsive. Simply select your chart height. The width will automatically fill the container that it’s in, no matter the size of the device or browser. 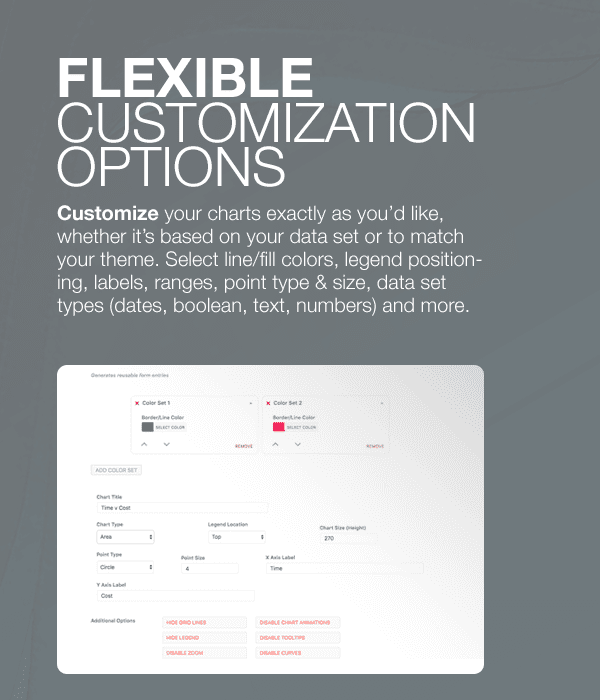 With tons of customization options, you can fully customize your chart to your liking. Customization options such as point types (circle, square, triangle, star, diamond), point size, custom X & Y labels, enable/disable chart animations, enable/disable line curves, enable/disable grid lines, enable/disable legend and legend position, and more! Select your line, fill or dot colors easily. Simply add a new color set which will be used for the data set in your chart. These colors are moveable and fully customizable so you can choose the exact color for each column. Integrate your data directly from Google Sheets! Simply publish your sheet for the web and input the URL in the field provided. 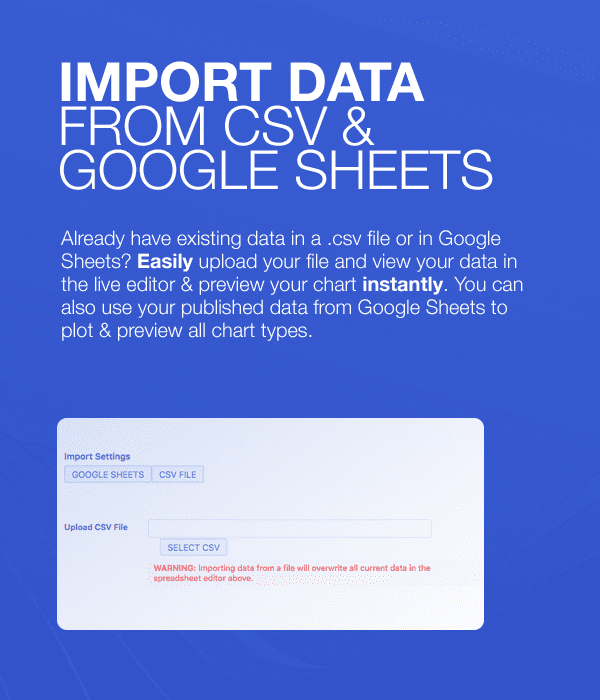 Already have your data in a CSV file? 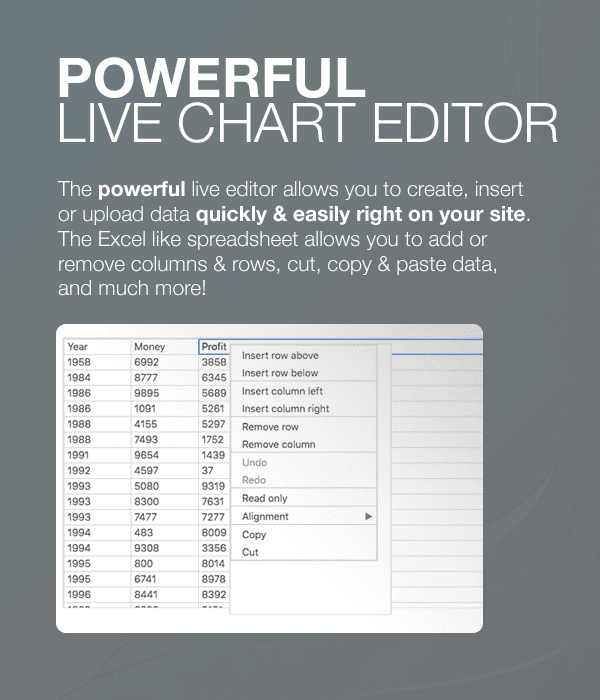 Simply import the file and it’ll automatically be inserted into the live editor and update the live chart preview as well. 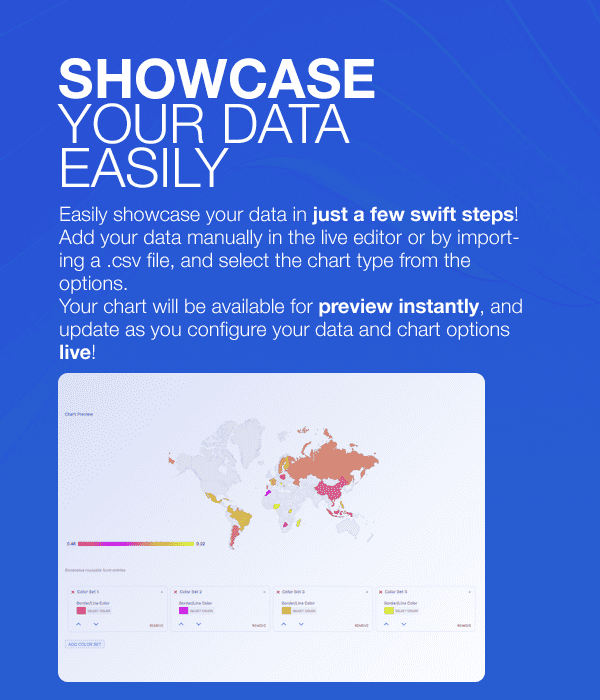 Unlike some other charts plugins, Swift Live Charts can handle thousands of data points without slowing down! Using Googles chart library, data is loaded quickly and optimized whether you have only a few data points or thousands!